PEDRO Sanchez has called a PSOE leadership election on October 23 demanding his party supports him. 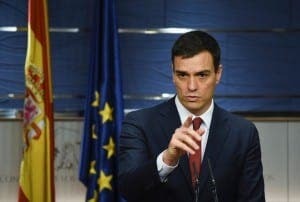 The Socialist leader has thrown down the gauntlet to his political rivals as Spain faces a third general election in a year. It comes after the PSOE scored some of its worst ever results in regional elections in the Basque Country and Galicia. Sanchez is facing angry calls from the PSOE’s 26-strong executive to do more to end the deadlock paralysing Spain’s political system after two inconclusive elections. 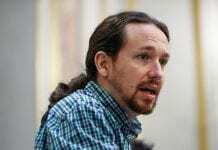 Sanchez has been unable to reach an agreement with Podemos and Ciudadanos over issues such as a Catalan independence referendum, to which he is opposed. Parliament has until October 31 to form a new government or a third election will be called. “To which HE is opposed” What do the rest of his party think? The Left needs to unite, in Spain as well as Britain. Remember, “together we are stronger”. A lurch to the Right, a great danger in Europe, consigns us all, (below the one percent) to a prolonged Dark Age. Our PSOE deputy in Asturias wants Sanchez out; thinks he will be gone before December. Hope your deputy is right. Sulky Sanchez is causing a log-jam. So Catalunya gets a referendum, if he joins Unidos/Podemos, so what. Get a government up and running and iron differences out later. The left on the UK will not get near governing in the next 20 years with idiots like Corbin and Diane Abbott in the party.